Fantastic Buy One, Get One Free Specials for men only! Laser Hair Removal ~ Buy BACK get CHEST FREE, OR Buy BACK and Treat Your Ladies’ Legs for FREE! Toenail Fungus Laser ~ Get rid of the UGLY TOES! $99 A TOE . DYSPORT or BOTOX ~ Buy one area for yourself and your Special Someone gets their area for FREE!!! hCG WEIGHT LOSS ~ Lose 1/2 to 1 lb per day. Treat yourself to a 20 or 40-day program and your Special Someone gets FREE lipo B12! Coolsculpting ~ Get rid of unwanted LOVE HANDLES, and get your CROWS FEET treated with Dysport or Botox for FREE. PICOSURE FOCUS ~ Get rid of fine lines, wrinkles and sun damage. Buy one laser treatment, get one-HALF OFF! 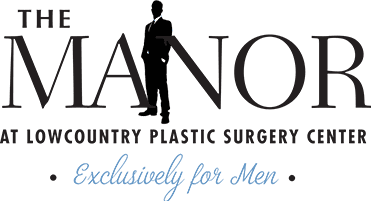 Blepharoplasty ~ No more saggy eyelids! Get rid of them FOR GOOD, $250 off! Picosure Laser Tattoo Removal ~ $99 for your first small area treatment. Sidelaze for underarm sweating ~ NO MORE UNWANTED ARMPIT STAINS!!! $250 off. KYBELLA – NO MORE DOUBLE CHIN!!!! ~ FREE Dysport or Botox for One area with each package purchased. DaVinci Teeth Whitening ~ Buy one, get one for your Special Someone FREE!! !